Cheesy Squash Casserole By Ali | Jam Hands. 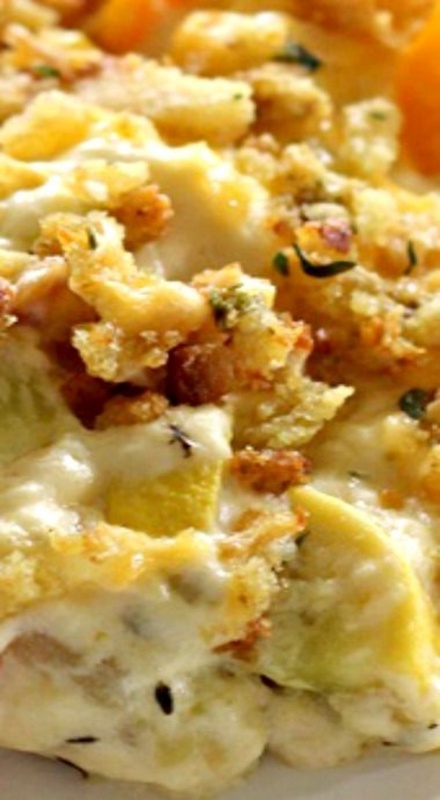 Cheesy Squash Casserole is a comforting side dish full of vegetables with a buttery, crunchy topping. This would be great with a roast chicken or pork tenderloin. So delicious!